Along with all of the amazing other things (from the boarding and embarkation experience, our gorgeous stateroom, the spectacular shows, the port excursions, and the beautiful ship itself!) 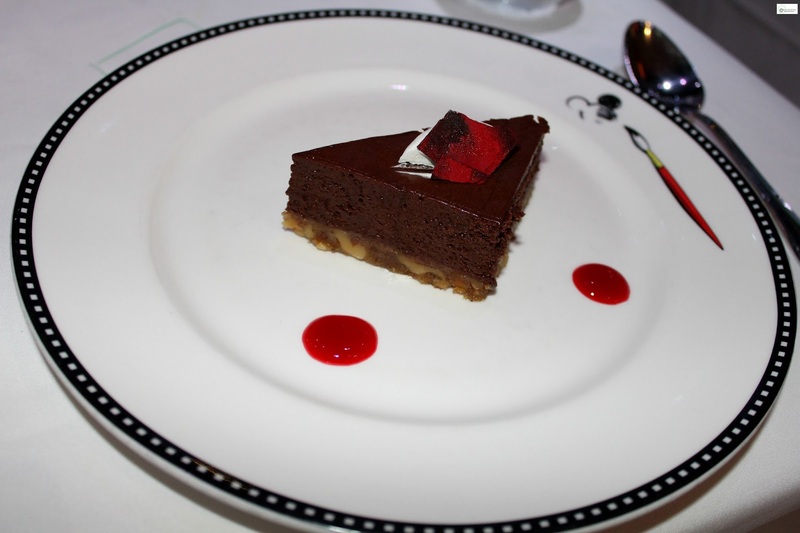 the food on the Disney Dream Cruise Ship was simply wonderful, especially if you have food allergies like myself. 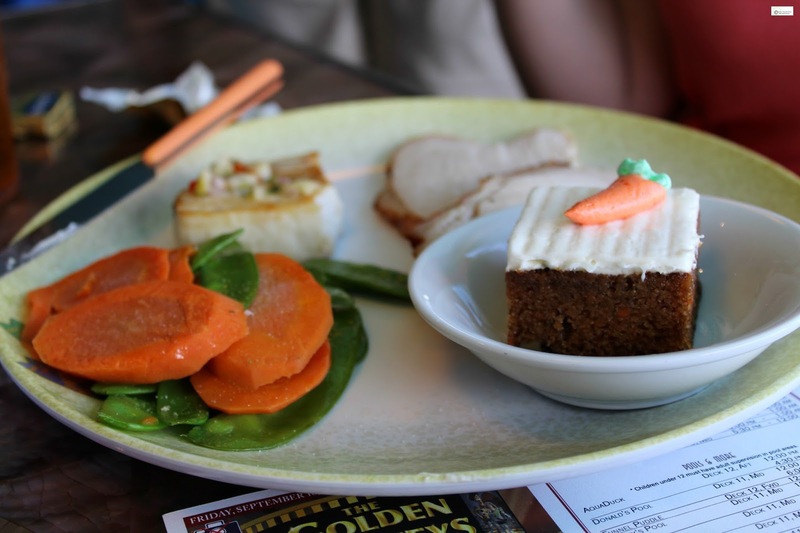 From the moment that we arrived on board we were immediately impressed with the quality of food, the taste, and the attention to detail that Disney gave. As a bit of an explanation for those who haven't sailed on the Disney Dream before seating is a bit different than on other cruise ships. 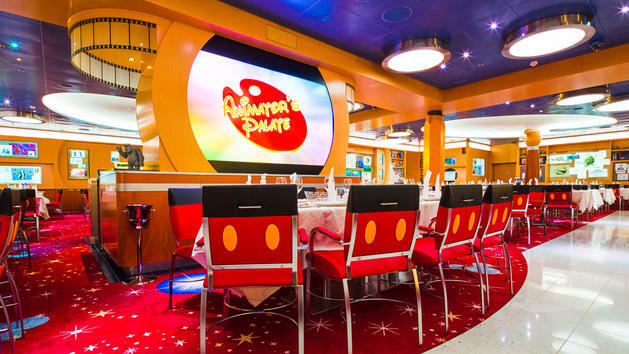 While you keep the same table number (and your table comrades and your same waiters) you actually move between three different restaurants (Enchanted Garden, Royal Palace, and Animator's Palate) for each night of a 3 night cruise. When I first heard about this I was curious at how this would work since I didn't have experience with anything but being in one restaurant at the same table each night on a cruise. Honestly, I absolutely loved it. It was fun to rotate between the three restaurants and feel like you were going out to eat in a different setting each night. 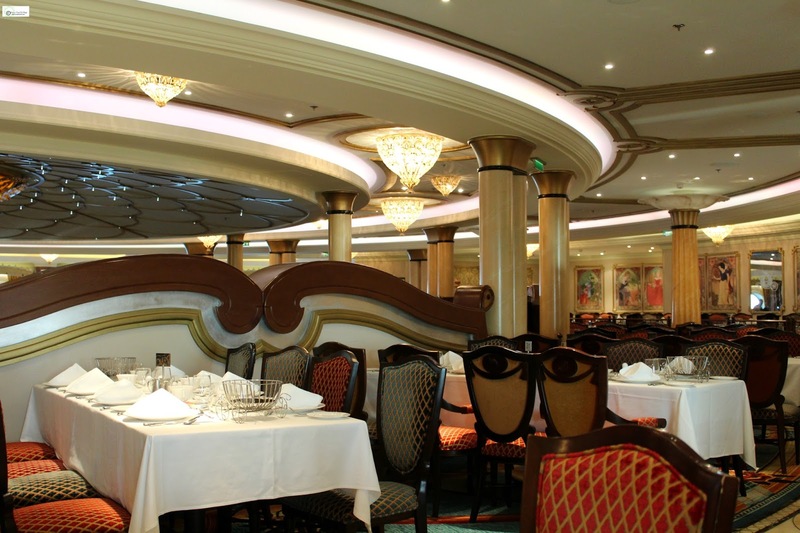 The decor in each of the restaurants is different with unique twists and it made the whole cruising experience even more unique. 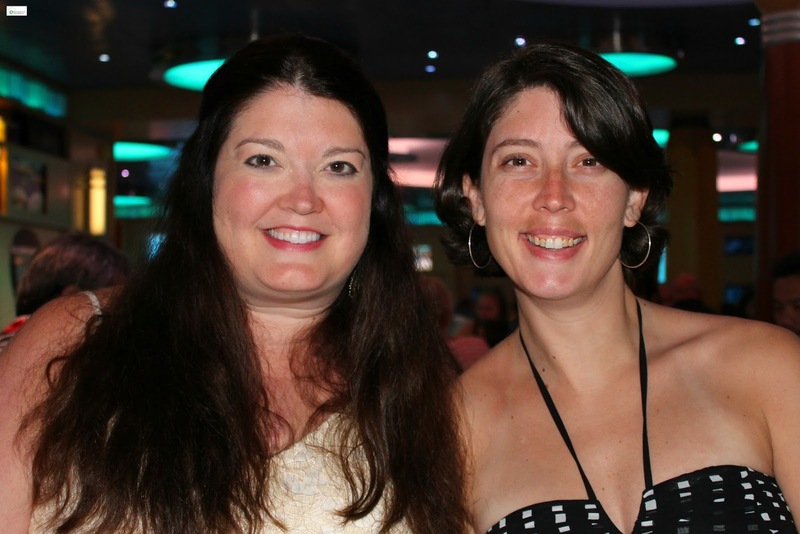 The first night of our cruise we ate at the Enchanted Garden which was absolutely adorable. As we were sitting there we kept trying to figure out which Disney story the Enchanted Garden was from. We had all sorts of guesses and it turned out that it is inspired by Versailles. Honestly the moment that our head waiter shared this I immediately could see it. It was gorgeous and you did feel like you were in an enchanted garden. 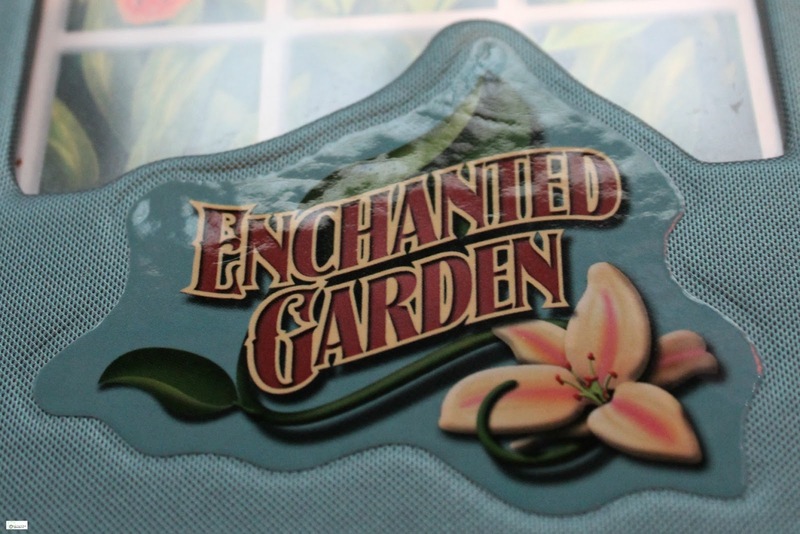 If you are interested in seeing the Enchanted Garden menu you can click HERE. 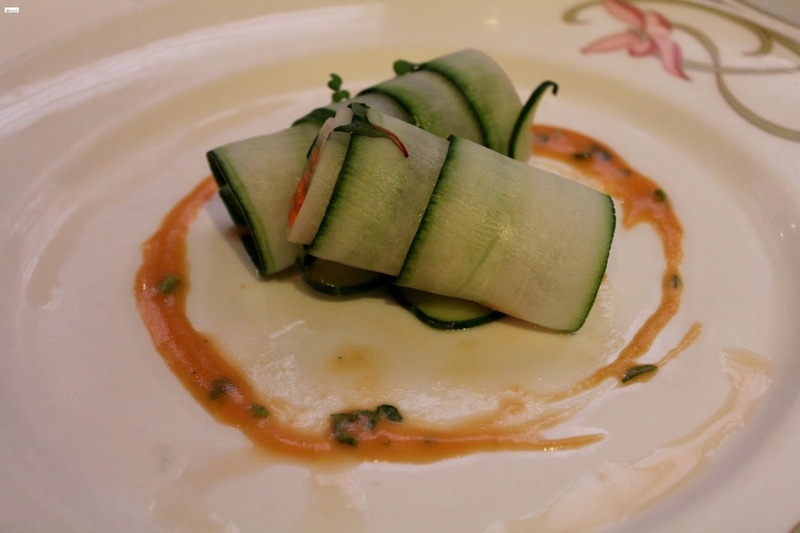 For the record Disney Cruise Lines offer gluten free, vegetarian, no sugar added, dairy-free, and lighter note offerings on all of the table-service restaurant menus. 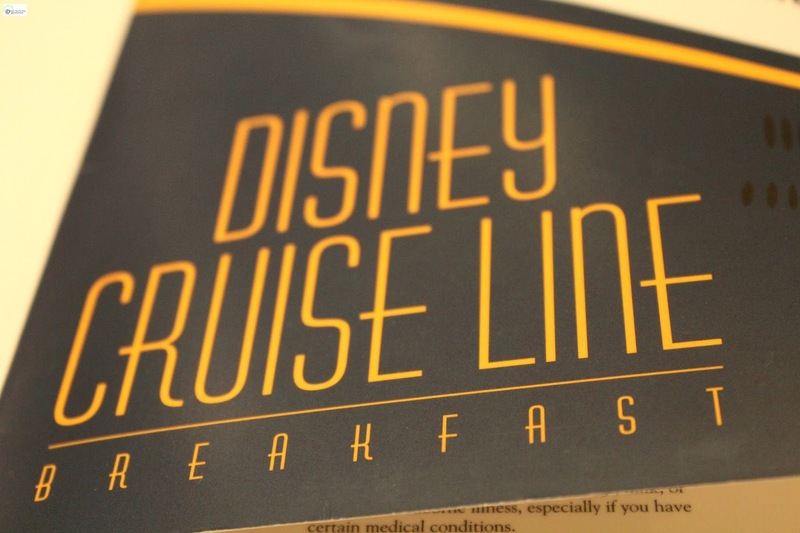 Disney Cruise Line will also work to accommodate kosher meals, lifestyle/cultural meal options at no additional charge if you call ahead to speak with someone. You can find out more about who to contact (especially if you have a life-threatening food allergy) and other questions about how Disney is allergen friendly by reading HERE. 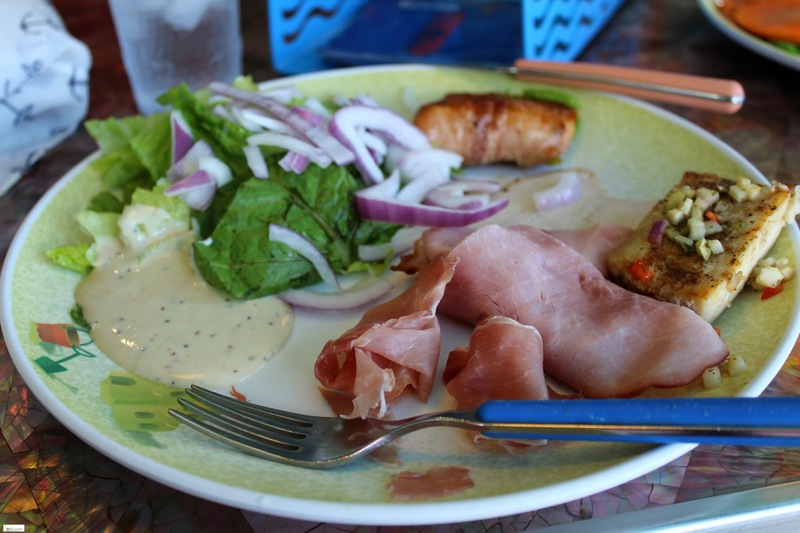 The next morning (and each of our mornings on board the ship) my sister and I chose to eat at the Royal Palace. 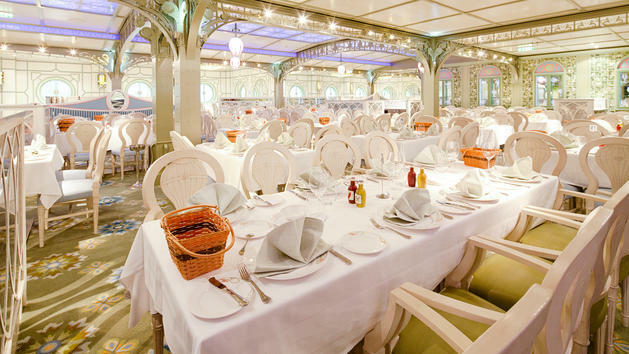 During the morning and afternoon hours, the Royal Palace offers table-service dining if you choose to skip the buffets. My sister and I chose to do this on the recommendation of the Disney Dream staff and it was absolutely an amazing way to start the day. I definitely recommend it. 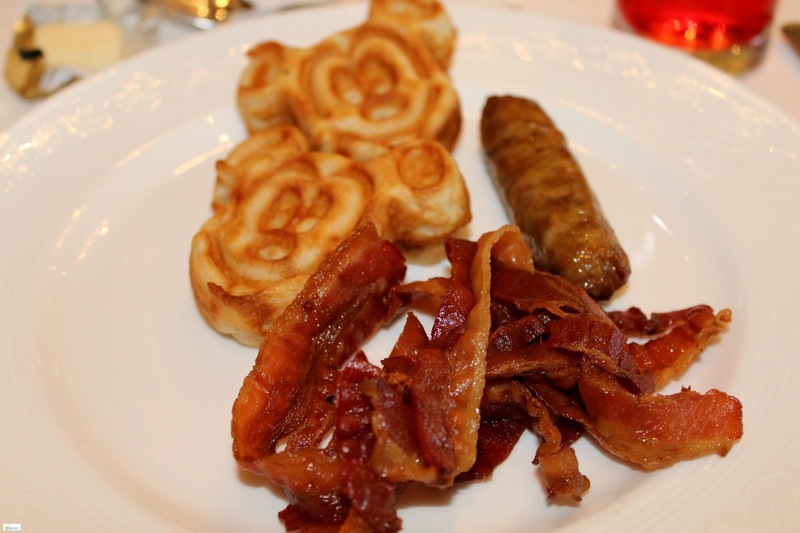 And y'all... even though I eat a low-carb diet I had to try to the famous Gluten Free Mickey Waffles. They were delicious! 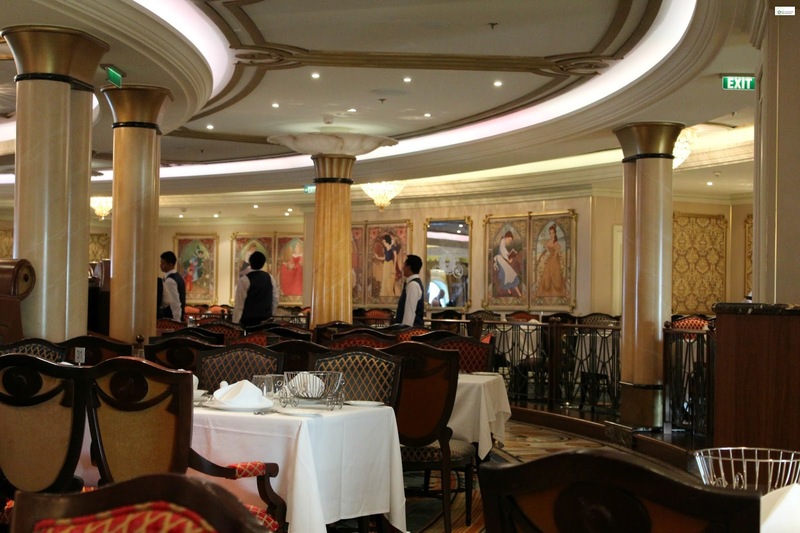 Our second night of the cruise we ate in the Royal Palace Restaurant. For every little girl and wanna-be princess the Royal Palace is an absolute dream. 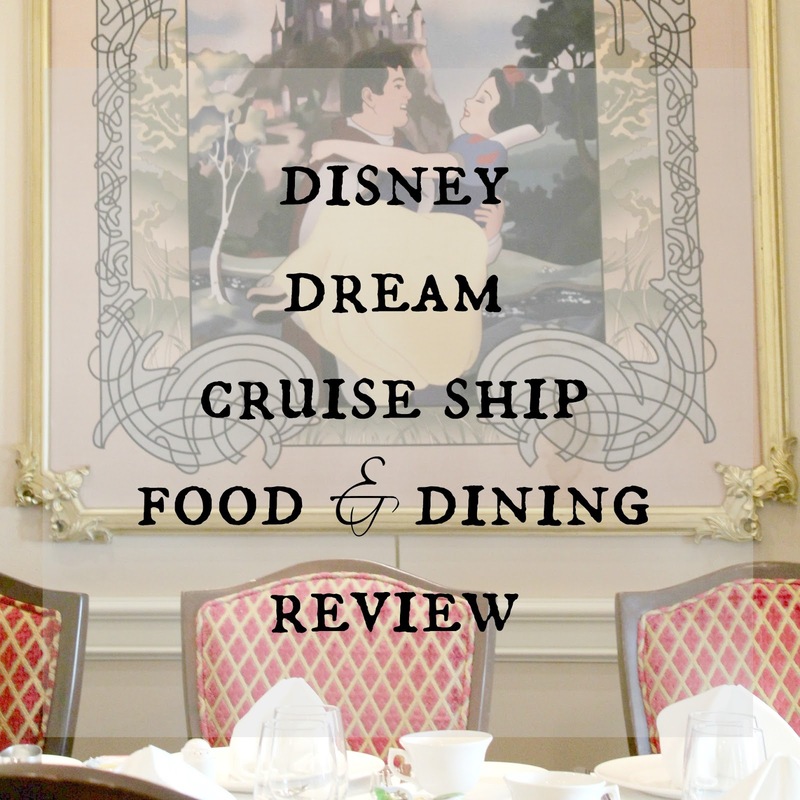 You feel like you have definitely entered into a classic Disney fairytale as the restaurant is modeled after the classic Disney films including, Sleeping Beauty, Beauty and the Beast, Cinderella, and Snow White and the Seven Dwarfs. 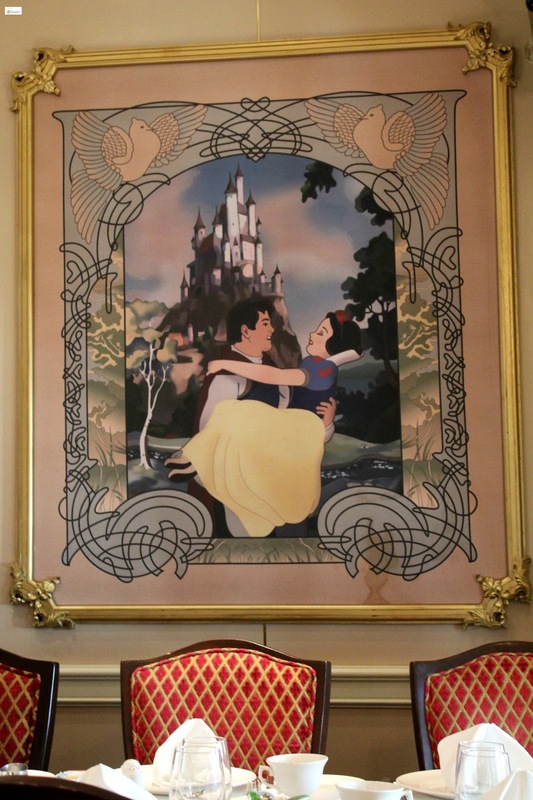 The circular room decor (a special nod to Cinderella) includes ornate marble floors, hand-painted portraits of Disney princesses on the walls, and even a royal entry that includes a pumpkin coach, glass slipper, and tiara. In addition each of the chairs are extremely comfortable as they are plush lavish chairs and once again shows the incredible detail that Disney puts into everything. 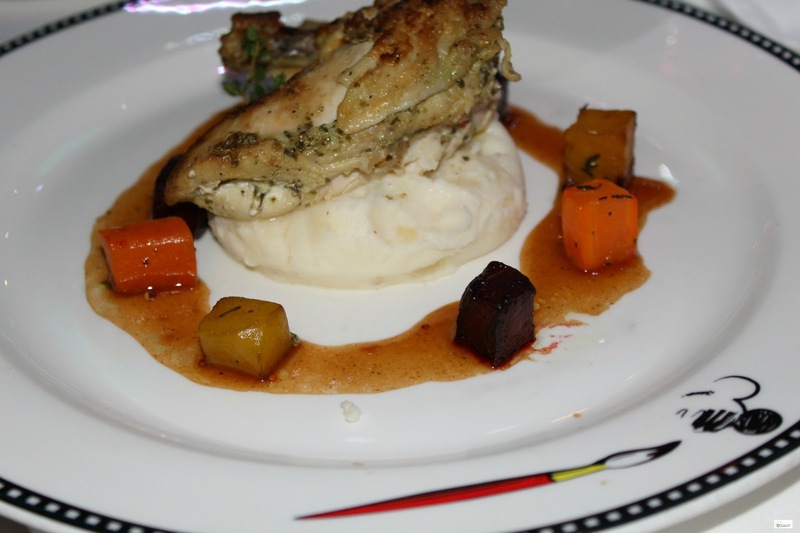 If you are interested in seeing the Royal Palace menu you can click HERE. 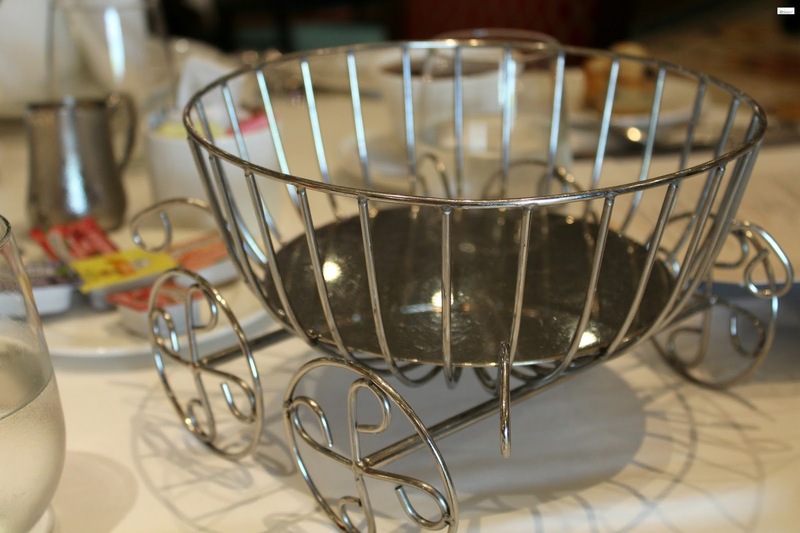 As an added touch in each of the dining rooms the silverware, plates, and even the bread baskets are uniquely themed to each restaurant! 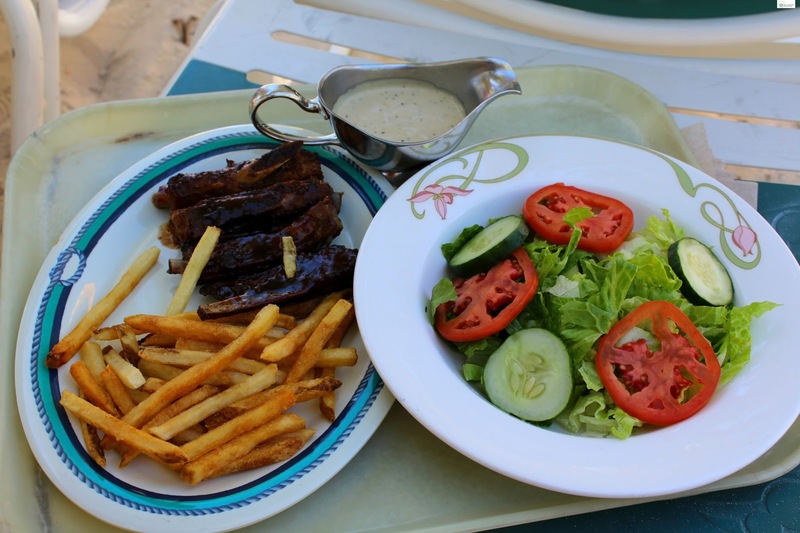 On our second day of the cruise (when we had our Aquaventure Port Excursion) a meal was included as part of that experience. If you are interested in reading more about this experience you can click HERE. As I was waiting I spoke with a mom of a young boy who has severe allergies and a teen girl who was waiting to pick up their special food. Both had the same reactions that I did. The way that Disney goes above and beyond is absolutely spectacular. If you have allergies and are wanting to go cruising go with Disney because it is amazing. 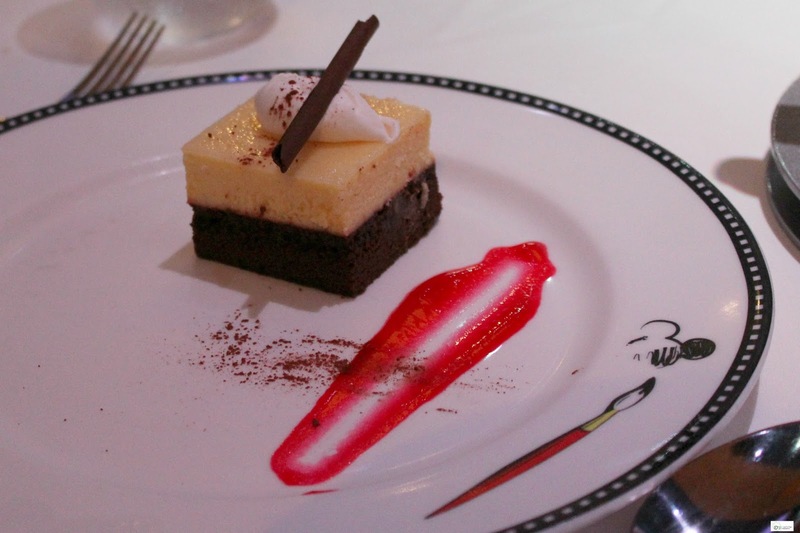 Our third and final night of the cruise we ate in Animator's Palate which is a fun and uniquely themed restaurant. The decor is absolutely amazing with unique architectural design, and the scenes and sketches on the walls around you change. It was so cool. 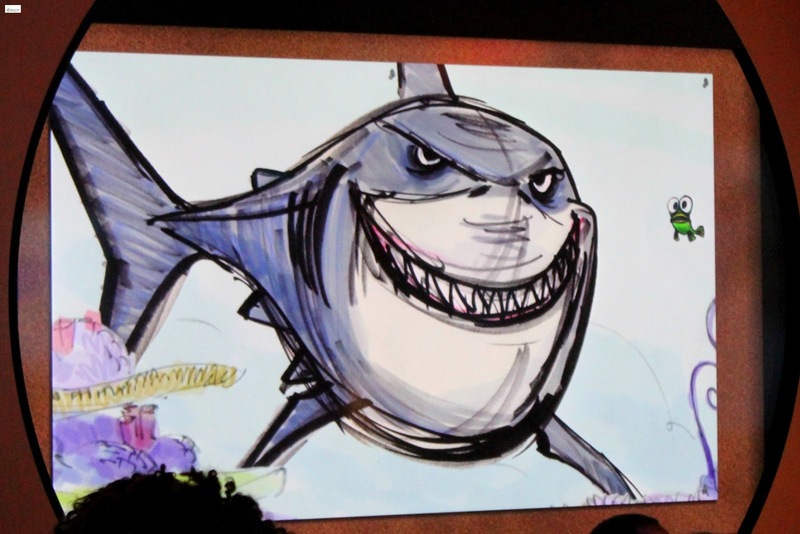 There is also a talking Finding Nemo/Finding Dory show that was pretty impressive. (If you are on a longer cruise than 3-nights there is an additional show that takes place. You can read more about it HERE. 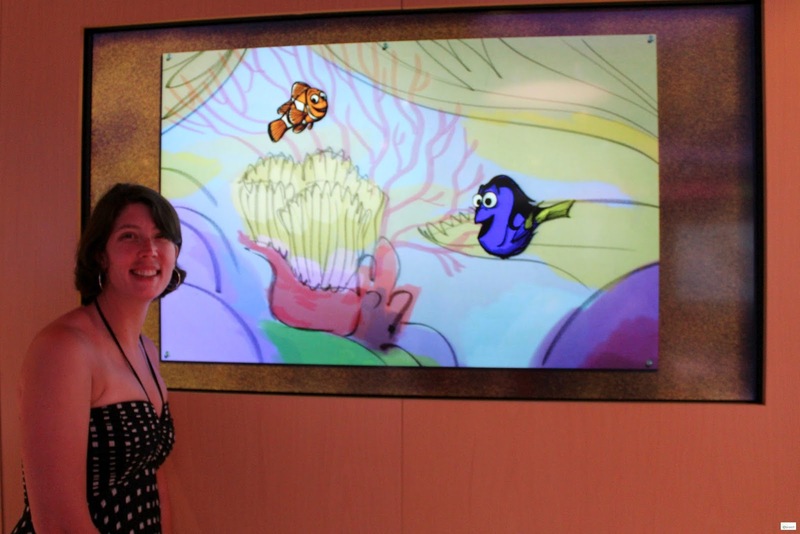 Again, every detail of the Disney Dream is down to perfection. As far as food choices, I have to say that this restaurant was one of my sister's and my favorite meals. 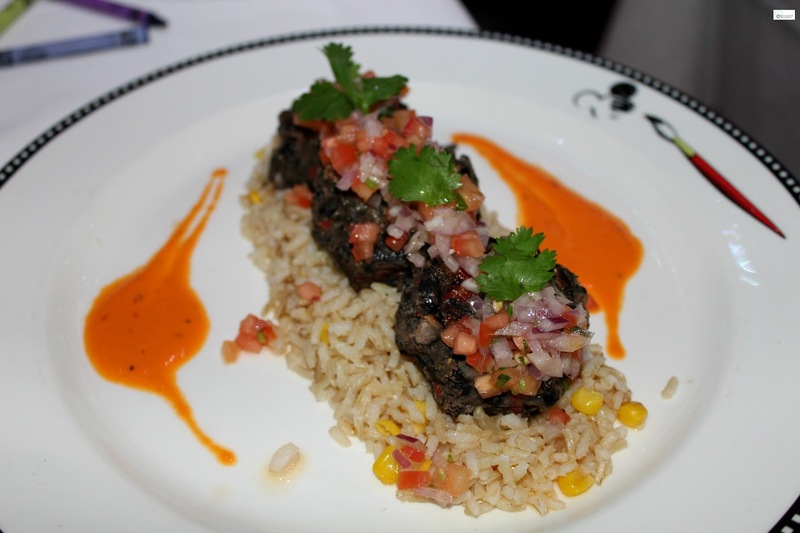 I am looking at that vegan black bean burger meal and wanting it right now! *smiles* Every restaurant was amazing, but the food in this restaurant was supreme. 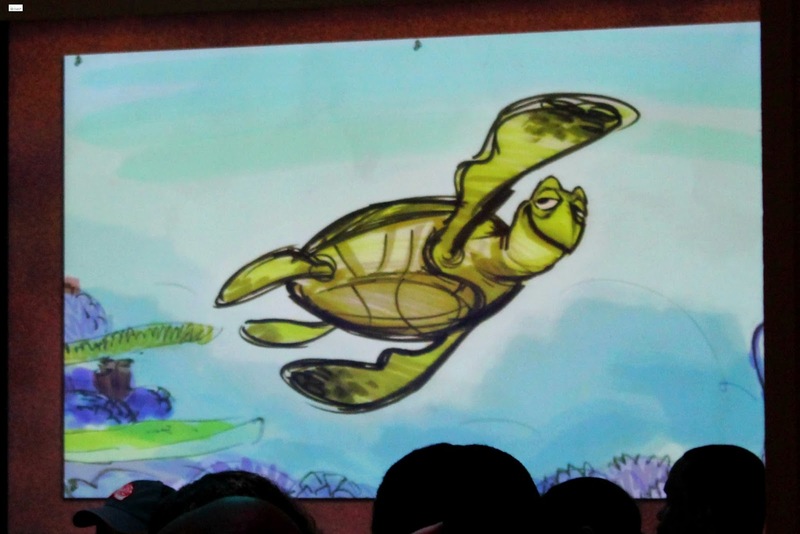 If you are interested in seeing the Animator's Palate menu you can click HERE. Every night our table enjoyed different deserts. According to my sister and my table mates the deserts are absolutely amazing. To be honest, I can't really comment on them as I don't eat sugar due to my journey with Advanced Late Stage Lyme Disease, but they looked incredible and beautiful! 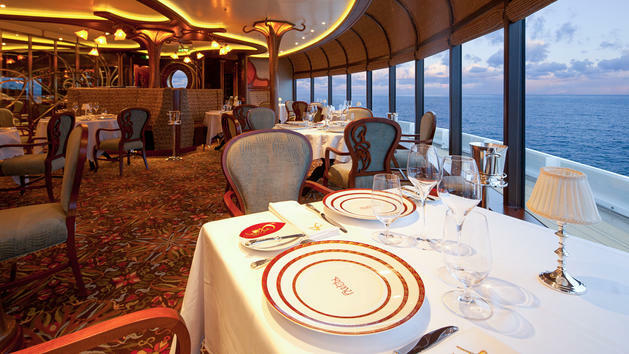 The Disney Dream also offers two additional restaurant options- the Palo Restaurant and the Remy Restaurant. Both of these restaurants do cost extra but come with different perks and benefits. 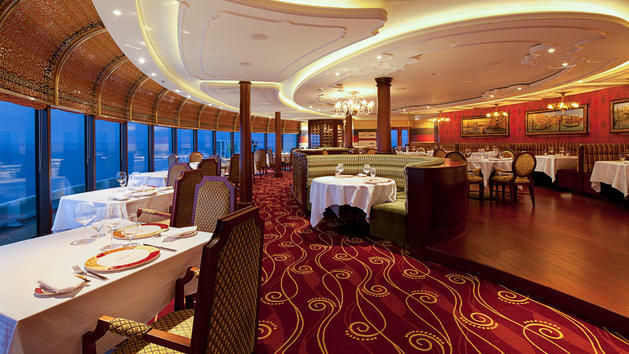 We didn't chose to do this on this cruise but heard from others that both restaurants are absolutely delicious. The Palo restaurant is an italian-inspired restaurant that offers spectacular views of the ocean as you eat and has live music. 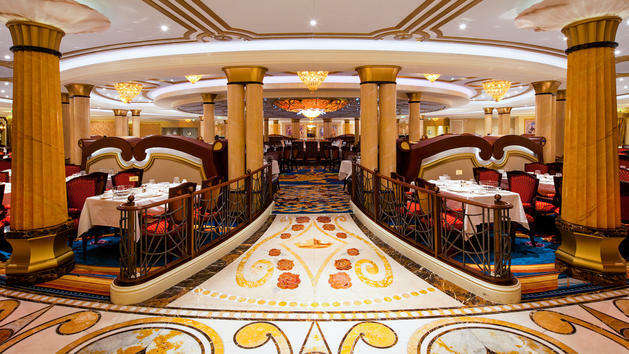 This restaurant is offered also on the Disney Magic and the Disney Wonder and is very upscale and romantic making it an excellent choice and option for couples to try. If you want to read more about the Palo Restaurant you can click HERE or if you would like to see the menu you can click HERE. 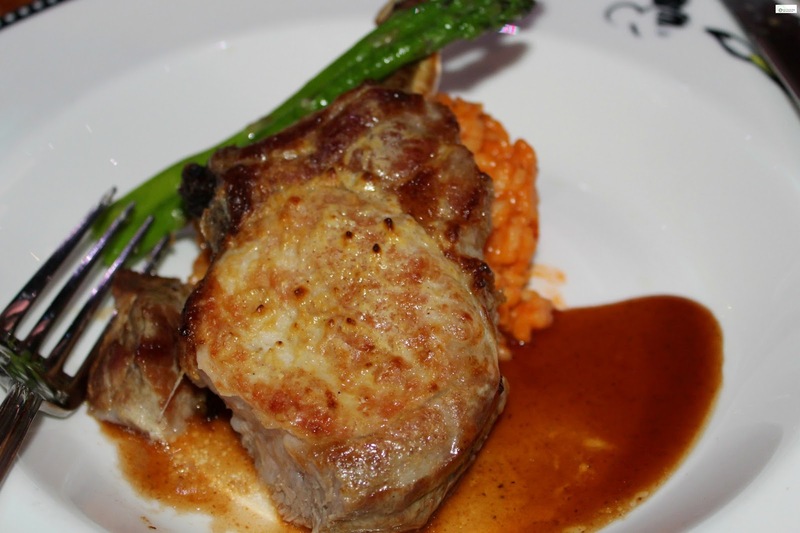 The Remy Restaurant is an adult-only restaurant that serves the finest French fare for dinner. When you step into this restaurant you feel like you have been transported to Paris as the art deco and ambiance gives a complete French feel. For the perfect mixture of Disney magic the character from the hit Disney film Ratatouille appears in creative touches throughout the design. Oh, and don't forget to check out the creative ways to dine in this restaurant- including the opportunity to dine in the wine room! If you want to read more about the Remy Restaurant you can click HERE or if you would like to see the menu you can click HERE. Finally, the Disney Dream offers a couple of buffet options and room service which had a delicious menu with lots of different options. 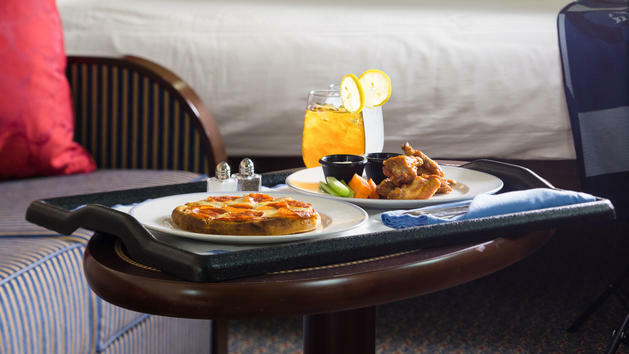 You can read more about the room service option HERE! Finally, I just have to add that our entire wait staff (and all of the waiters we came in contact with) were absolutely amazing. They seriously went above and beyond in so many ways to help accommodate my food allergies and were just amazing people to talk with and get to know. Each one was incredible patient, helpful, and fun. I was so impressed with each staff member! 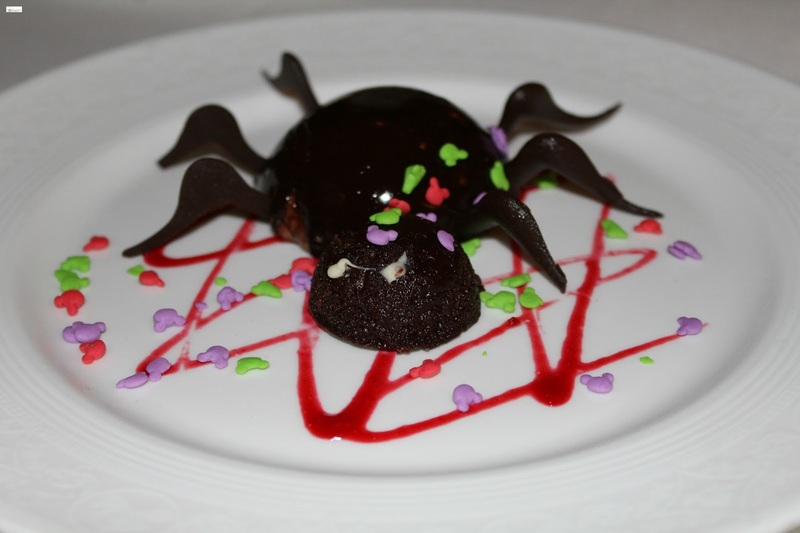 I hope that this review of the Disney Dream Cruise Ship Food and Dining has been helpful! 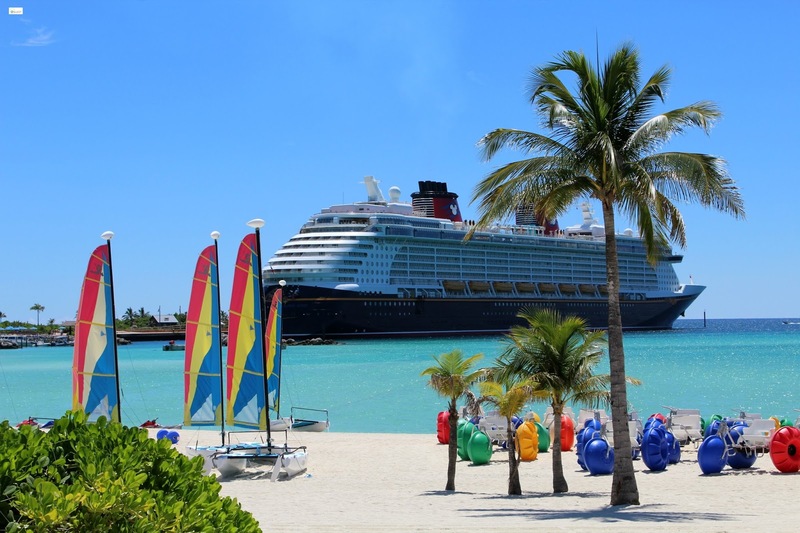 Have you been aboard a Disney cruise ship? What was your favorite place to eat? Please let me know if y'all have any questions! 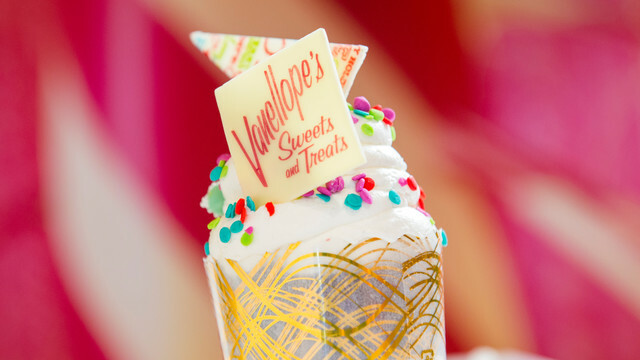 Vanellope's was our favorite too! We did the racing car filled with ice cream haha. 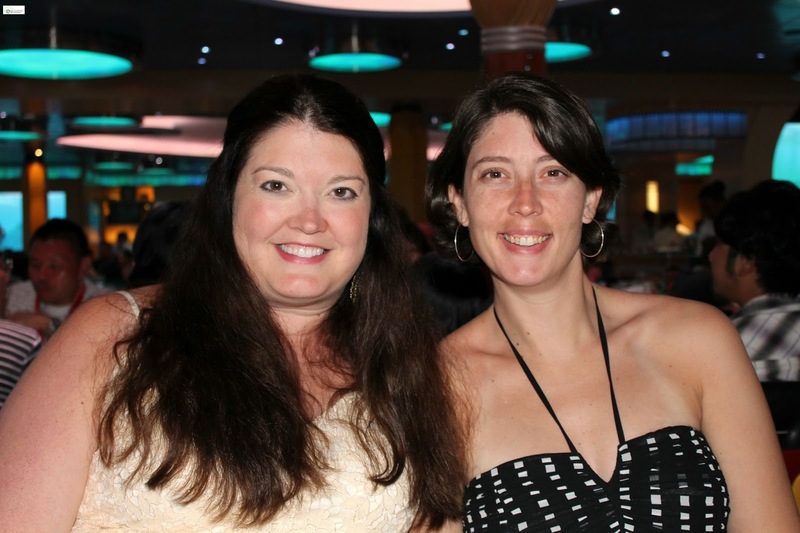 Lots of good food on the ship, and the restaurants are so beautiful and fun! Becky- My sister loved that place SO much!! :) And I completely agree- the restaurants are extremely beautiful and fun!! Such a wonderful fun experience!! Thanks so much for stopping by and taking the time to comment! I hope that you are having a wonderful week!